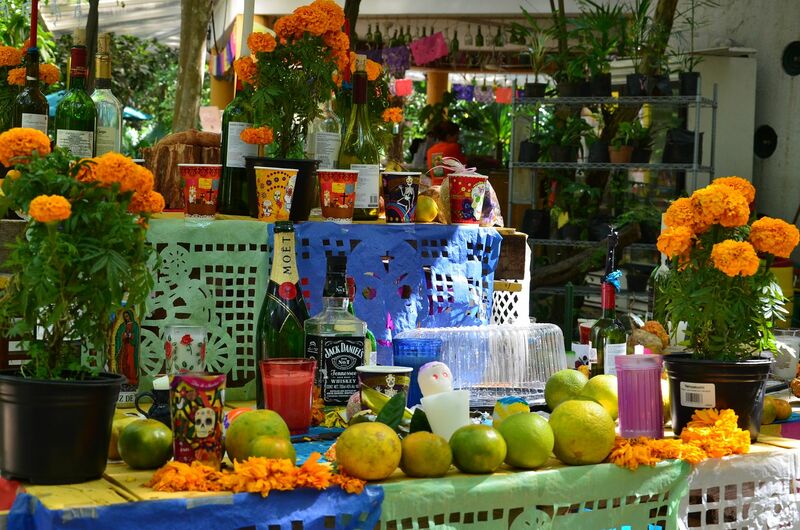 This year, Xcaret is not the only option for fun family celebrations of Dia de los Muertos! This year Parque la Ceiba extends the festivities with a full weekend of events for families in Playa del Carmen! 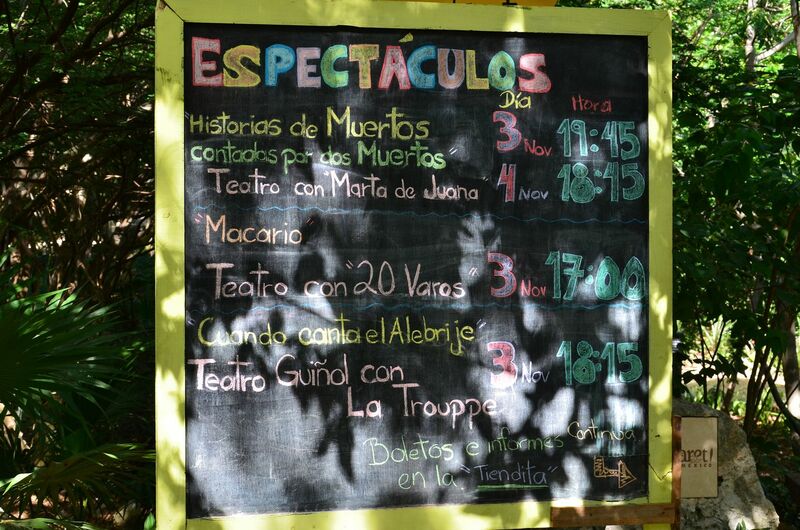 Parque la Ceiba has different events going on for Saturday and Sunday and tickets are $85 mn/$7 usd per person per day. 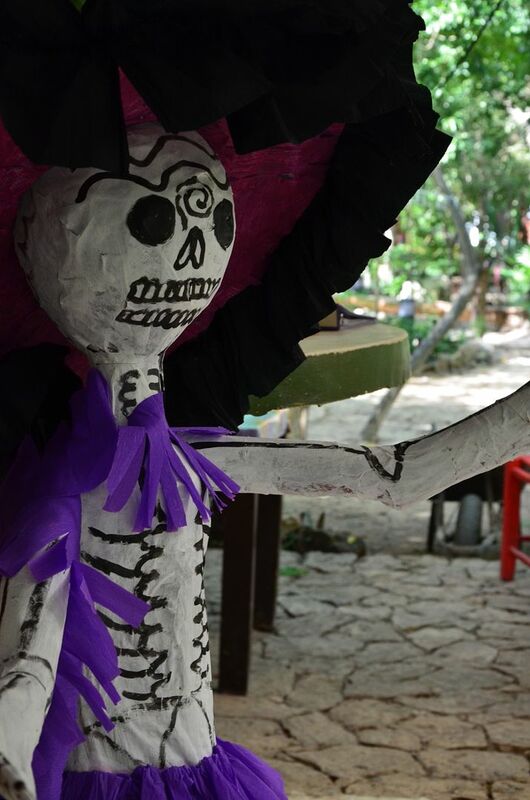 Throughout the weekend, children and adults can enjoy photo expositions, dance groups, theatrical performances, puppet shows and more all celebrating the Day of the Dead or "Hanal Pixan". You can find the complete schedule of events and even more info HERE on the website. 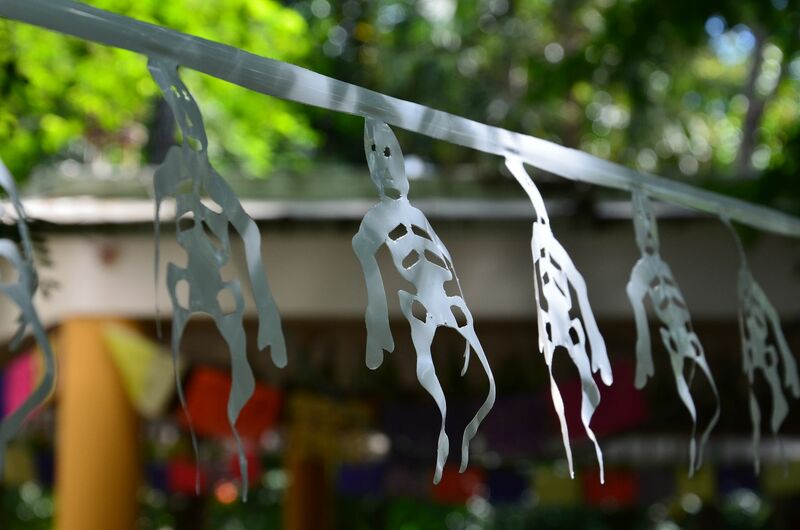 I stopped in to the park this morning for the details and they informed me that TODAY, if you stop in to the cafe to buy advance tickets for the Parque la Ceiba festival, they will give you one FREE courtesy pass for the 7th annual Festival de Vida y Muerte tomorrow evening (Wednesday October 31) at Xcaret!! *** If you are planning to come to Parque la Ceiba by car, be aware that there is quite a bit of construction on Juarez right now making the trip a bit trickier and diverting traffic in circles! Your best route is going south on 307, pass Juarez and take the very next right. This will take you straight to the Parque and avoid all the detours.